Our birthday party package gives you 2 HOURS of exclusive use of a half field (119’x166′ play area) to play any number of games or activities you wish, as well as the party room for fun, gifts, and celebration! Both facilities are available to be used simultaneously during the two hours. There’s no limit on how many people can attend your party or any per-person increases in price! 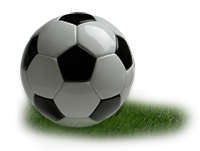 Soccer balls, kickball bases, an 18 foot parachute, and a volleyball / volleyball net are available upon request at no charge. We’ll have a variety of bottled drinks and packaged snacks/candy available at the concession stand for purchase. You’re welcome to bring your own food and equipment as well. Birthday parties at GSC are a great value! Please don’t hesitate to email rental@gorhamsportscenter.com or call (207) 839-6767 with any questions or to reserve!